Get a closer look at the frontline story behind Call of Duty: WWII main campaign. Return to the 20th century’s most iconic armed conflict and the dramatic backdrop which first inspired the hugely-popular Call of Duty series – now redefined for a new gaming generation. Embark on an intense journey across Europe’s vast theatre of war as part of a brotherhood of ordinary fighting men, struggling to preserve freedom as the world teeters on the brink of tyranny. Also team-up with friends online and experience a separate, story-driven cooperative campaign. Experience the all-new War Mode where players must work as a team to defeat the enemy. 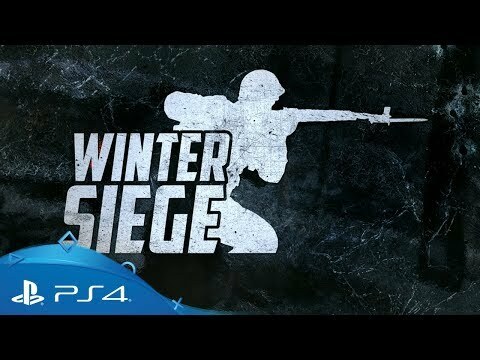 This narrative-driven Multiplayer experience immerses players in a series of iconic World War II battles where Allied and Axis forces clash in team-driven assault and defend missions. Divisions, meanwhile, fundamentally redefine how you invest in your Multiplayer career. Choose from five iconic World War II divisions, each with specific training and weapon skills and reinforce your individual play style while dominating the enemy. Embark on a chilling, dark and mysterious journey through a snowy Bavarian village in Mittelburg, Germany, as you attempt to recover priceless works of art stolen by the Axis powers - beware though, this village holds a shadowy secret and the key to an unimaginable power. Headquarters is an all-new, off-the-frontlines experience for Call of Duty: WWII. Here, you'll compete, earn rewards, show off your accomplishments, and connect with friends. Unlike anything you've encountered before in Call of Duty, Headquarters transforms the series' much-loved multiplayer, altering how you engage with the game and each other. Warm up in the Firing Range, prove you're the best in the 1-v-1 Pit, watch Call of Duty esports matches live in the Theatre, man the AA guns and more in a dedicated social space. 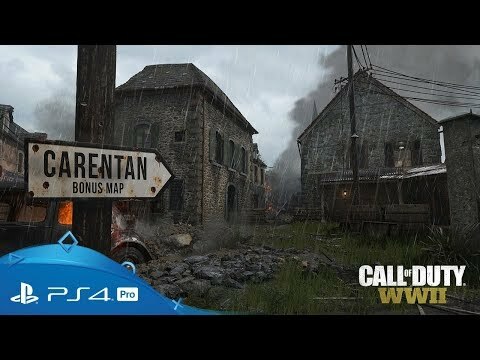 Carentan debuted as a Multiplayer map in Call of Duty®, and a brand-new version of this fan-favorite is heading to Call of Duty®: WWII. Featuring large exteriors with excellent sniper lanes, and interior areas for intense close combat, Carentan is a map that you won’t want to miss. The battle has only just begun. Continue the fight across Europe with additional multiplayer map packs, War Mode missions and new Nazi Zombies co-op content. 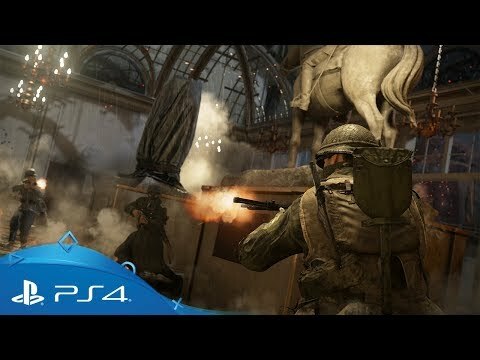 The Allies retaliate in DLC Pack 3 for Call of Duty: WWII - United Front. Experience the dramatic drive toward Berlin across three new multiplayer maps: Stalingrad, Market Garden and Monte Cassino. Armour up and push across North Africa in a new objective-based War Mode mission, Operation Supercharge, and join new heroes in a unique Nazi Zombies experience. 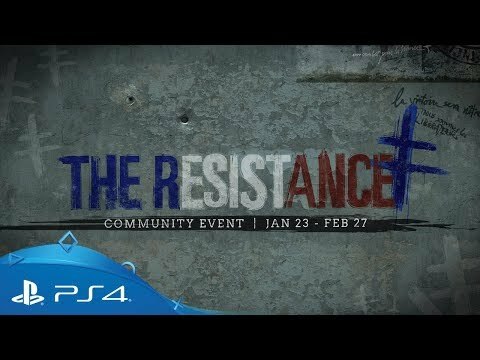 Continue the conflict on an epic scale with the first DLC pack for Call of Duty: WWII, 'The Resistance'. Fight in the iconic locations of historic resistance uprisings in three new multiplayer maps and take on an all new objective-based War mode mission, Operation Intercept. Finally, experience the second Nazi Zombies chapter: 'The Darkest Shore'. 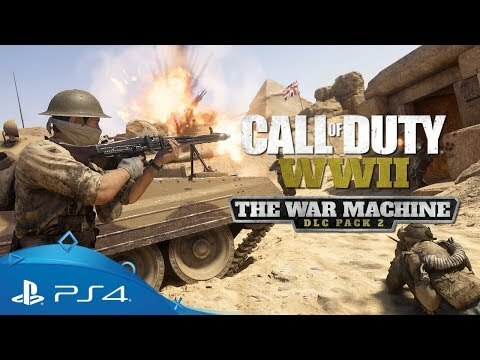 Tensions escalate in DLC Pack 2 for Call of Duty: WWII - The War Machine. Join the Allies and stop the powerful Axis advance in three new multiplayer maps that illustrate the might and global reach of the Nazi war machine. Strike back and take part in the Allied invasion of Sicily in Operation Husky, the all new objective-based War Mode mission. Plus, experience the third Nazi Zombies chapter: 'The Shadowed Throne'. Call of Duty's legendary Carentan map returns in Call of Duty: WWII - get your first look here. 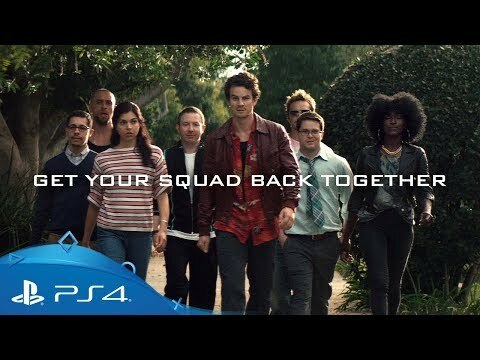 Get the squad back together and head back into battle. Check out how Call of Duty's legendary multiplayer modes will work in Call of Duty: WWII. 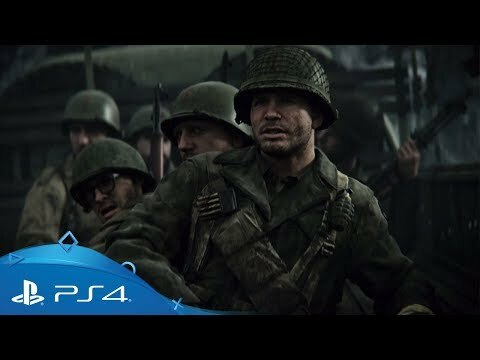 Get your first look at Call of Duty: WWII as the franchise goes back to its roots. Experience the full-scale theatre of war with the Call of Duty: WWII Season Pass. Continue your journey through history's most dramatic armed conflict with 4 DLC add-on packs released throughout 2018 that include new and iconic multiplayer maps, new chapters of Nazi Zombies and all-new 'War Missions'. The Season Pass also includes the bonus Carentan Map. Trade bullets with the best Call of Duty players from around the world in a range of iconic WWII locations - all you need is PlayStation Plus. Enter a new interplanetary campaign against a deadly enemy in Call of Duty: Infinite Warfare on PS4. Set off on a perilous journey into a hostile alien environment in Farpoint, exclusive to PS VR. Experience a world at war and take part in the largest, most dynamic battles in Battlefield's history in Battlefield 1 on PS4. Like clockwork, we’ve a brand new set of discounts going live on PlayStation Store today. From today until 3rd October, grab big savings on a range of classic Ubisoft-published titles, including Far Cry 5, Assassin’s Creed Origins, Rainbow Six Siege and more. Read on for the full list of discounts: Assassin’s Creed Chronicles: China Assassin’s […] The post Pick up big discounts on hit Ubisoft titles on PlayStation Store from today appeared first on PlayStation.Blog.Europe. Get ready to finish the fight in Call of Duty: WWII’s fourth DLC pack, Shadow War! Launching first on PS4 on 28th August, Shadow War includes three Multiplayer maps, a new War Mode Mission, and the epic conclusion to the game’s thrilling Nazi Zombies storyline. 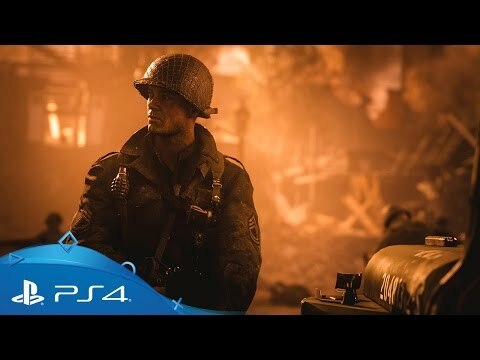 “Thematically for this pack, we wanted to push the fiction […] The post Here’s your first look at Shadow War, the fourth DLC pack for Call of Duty: WWII appeared first on PlayStation.Blog.Europe. UPDATE: A version of this post incorrectly listed that Dimension Drive is releasing on 26th June. This game will launch later in Summer 2018. This week, relive your childhood dreams with The Awesome Adventures of Captain Spirit, Dontnod’s prequel to the upcoming Life is Strange 2, which is available to download for free on PlayStation […] The post This week’s PlayStation Store highlights: The Awesome Adventures of Captain Spirit, Far Cry 3 Classic Edition, LEGO The Incredibles and more… appeared first on PlayStation.Blog.Europe. 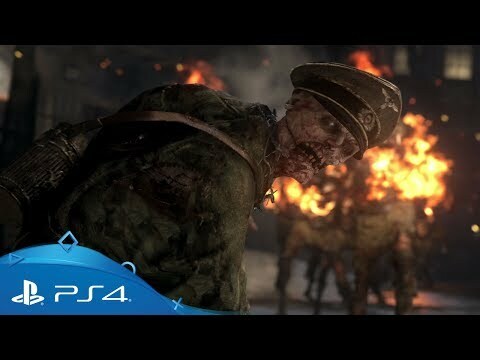 The Allies have been battered and bruised, but in United Front, the third DLC Pack for Call of Duty: WWII, they begin the dramatic push towards Berlin! 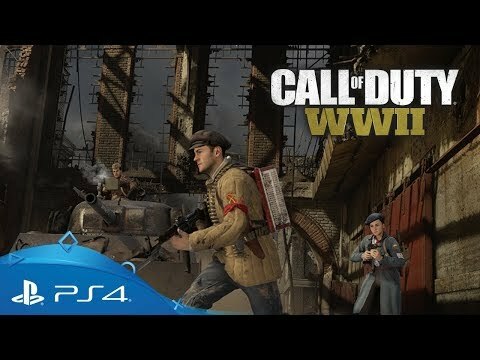 Launching first on PlayStation on 26th June, United Front includes three new Multiplayer maps: Market Garden, Monte Cassino, and Stalingrad. 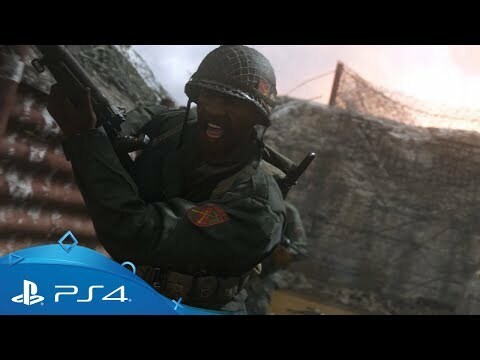 United Front also features a new War Mode […] The post Call of Duty: WWII’s third DLC pack United Front detailed ahead of next week’s launch appeared first on PlayStation.Blog.Europe.